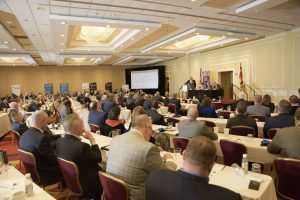 For federal contractors in the Fort Meade Region, the FMA Industry Day is a singular opportunity to gain new insights and connections. 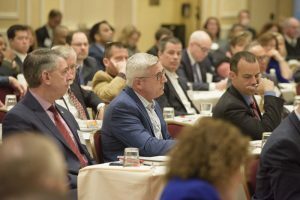 Scheduled for March 7th, the half-day event at the Westin Baltimore Washington Airport Hotel will include a panel discussion by those acquisitions officials and ample opportunities to question them about strategic initiatives, contracting processes, agency needs and specific opportunities. Each year reveals different trends and developments within the three agencies. For example, DISA embarked on a modernization initiative a few years ago that altered its contracting prospects. NSA recently completed a major reorganization which significantly changed its acquisitions staff and communications about contract competitions. Meanwhile, Cyber Command is in the process of establishing its contracting operations and is eager to partner with private industry to address emerging technology challenges. “industry with a refreshed picture of agency acquisitions that covers an 18-month period,” Harwood said. This year’s Industry Day will also feature keynote speaker Teresa Shea, formerly the Director of Signals Intelligence at NSA and currently the Executive Vice President, Technology at In-Q-Tel, Inc.
Shea will discuss the acute need for government agencies and private companies to develop partnerships that spur technology innovations and change the way government operates. She will also explore processes that can facilitate effective partnerships, such as In-Q-Tel’s process of investing in and driving development of select technologies, and ways that integrators can channel small-company innovations into government missions. FMA Industry Day is also a major networking opportunity. “People use it as a large, aggressive networking session because you have the who’s who of defense contractors, intelligence contractors and other companies in the room,” Harwood said. Currently exhibitors include Anne Arundel Community College, DataStax, KeyW Corporation, LG-TEK, Lockheed Martin Corporation, ManTech, National Instruments, Next Century Corporation, NSA Technology Transfer Program, Raytheon, Tower Federal Credit Union and Vision Technologies. Click here to register for Industry Day on March 7, 2019.